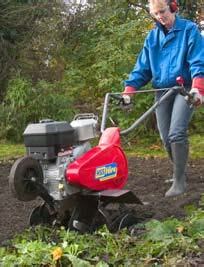 Digging over large areas of cultivated ground? You'll find it quicker and less back-breaking with this powerful professional digging machine. Ear defenders, goggles and other safety kit is available to purchase online or when you pick up from a HSS shop.